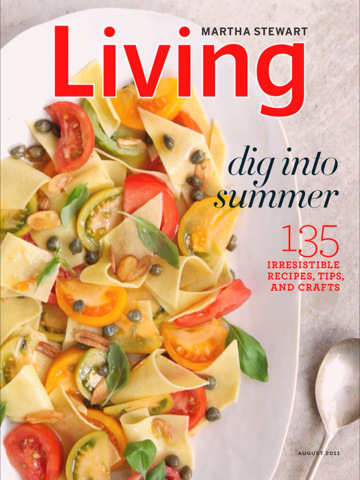 Although as I write this I'm still waiting for my subscription copy to arrive, I could simply not resist the August issue of Martha Stewart Living when I saw it on the newsstand today. The subheading, "dig into summer" seemed to say exactly what I was thinking as I was walking along the sunny street, hungry for lunch. Once I peeked inside, there was no going back. 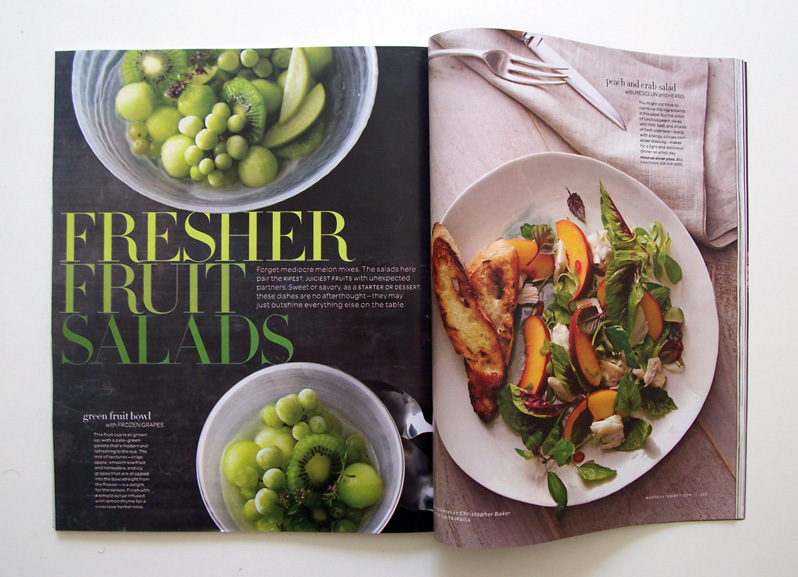 This issue is primarily food centric, but how wonderful that is, considering the incredible bounty of produce this time of year. (Everything - with the possible exception of chocolate - tastes better in the summer.) It is loaded with incredible recipes that capitalize on the best of the season. There are also features on a casual summer beach house, crafting with seashells, collecting vintage baking manuals, and creating a garden that is virtually wilt-proof. There are a few changes in the publication to note also: the "What's For Dinner" column, with its detachable recipe cards, is now closer to the front of the magazine and the dessert feature on the last page of the magazine has been replaced by an essay that will focus each month on a life well-lived. 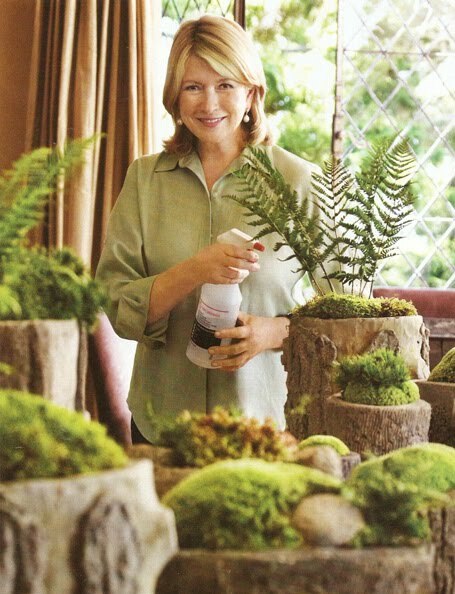 Martha takes us to Skylands and shows us how she brings the outdoors in by creating sumptuous moss gardens in her collection of faux-bois planters. New spins on a summer classic: fruit salad. 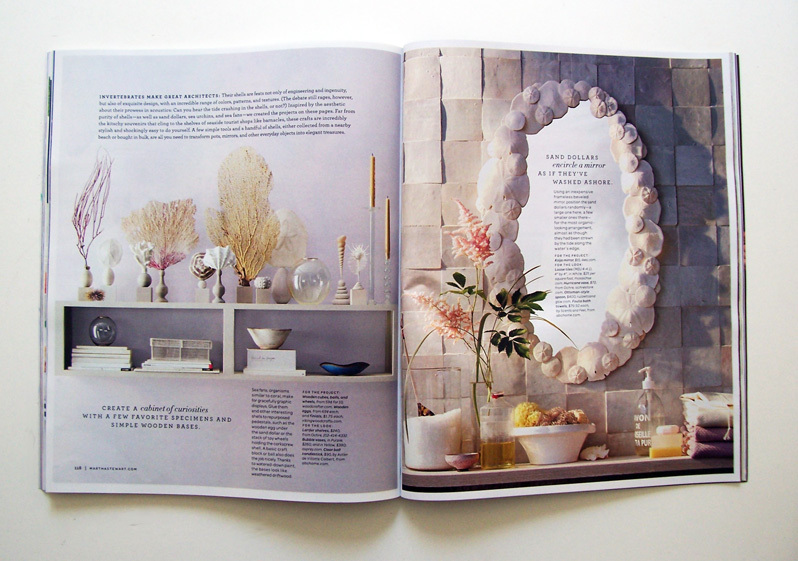 Using seashells to embellish everything from mirrors to flower pots. 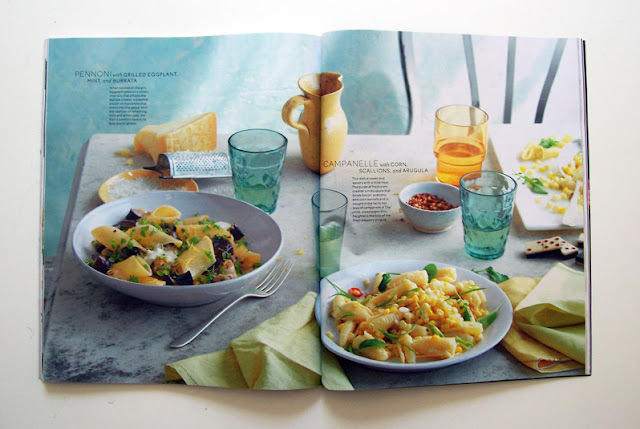 Great summer pastas, loaded with harvest vegetables for seasonal flavours. 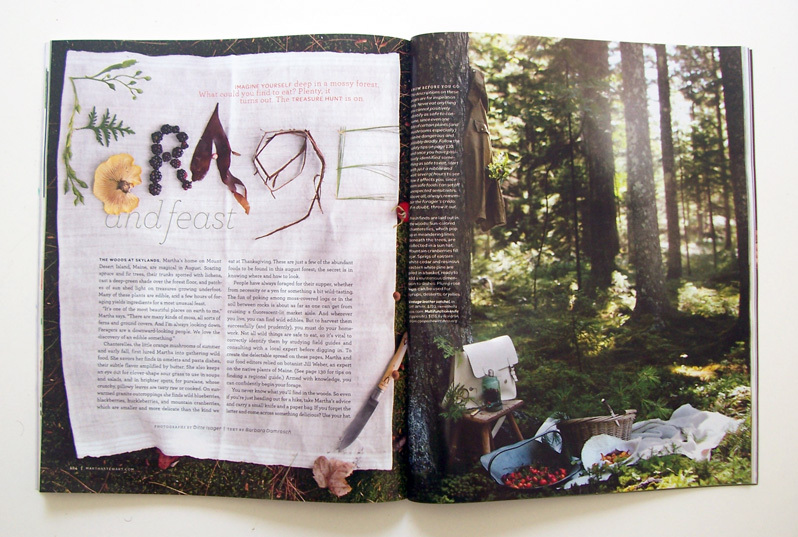 The editors take us foraging at Skylands in Maine and come up with some great recipes using edibles found growing in the forests that surround Martha's summer home. Not my favorite issue. I usually flip thru a couple of times, not with this issue. Nothing really caught my eye.